Last week, Socceroos coach Ange Postecoglou said it was time for Australia to find its next Tim Cahill. Brisbane Roar’s indigenous defender Jade North hopes that next star will come from a remote Indigenous community after helping launch the inaugural Indigenous Football Week. 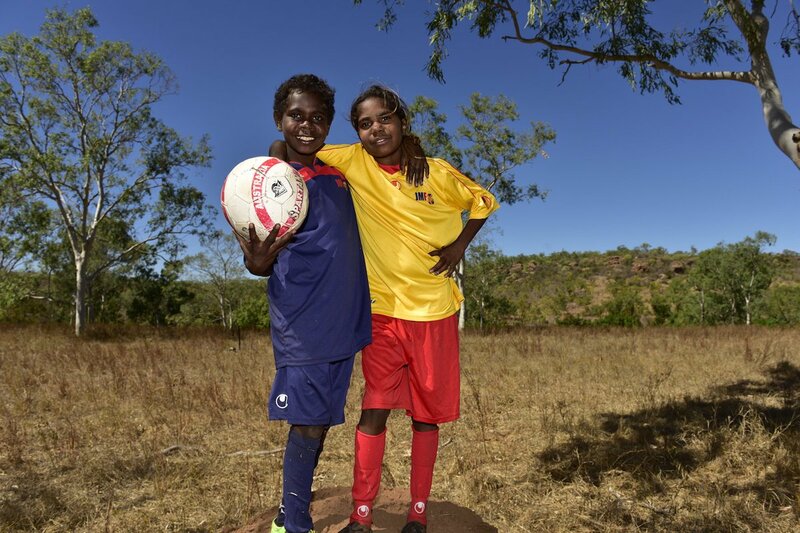 That may seem far-fetched but if the flagship event for Australian football achieves its target this year, then by the end of 2018, up to 2000 indigenous Australians living in impoverished rural and remote communities could have access to elite football education and development. That’s the goal of Football Federation Australia campaign in partnership with Professional Footballers Australia and the John Moriarty Football program for indigenous youth in Northern Territory that aims to bridge the gap through the world game. After a successful pilot program that has already developed a third of its participants from three remote towns into representative youth footballers, the aim is to triple its reach to nine towns across two states and one territory with the assistance of $200,000 in fundraising. 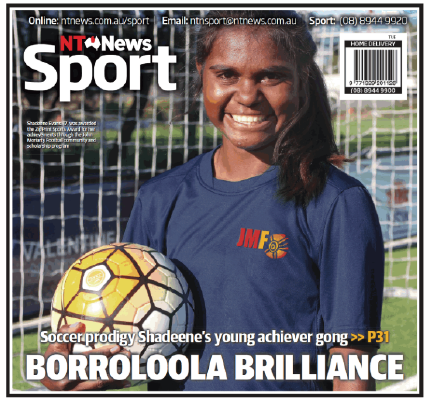 The JMF program is already past the halfway mark after pledges from Australian national team players and the FFA in what Socceroo Jade North hopes is the start to forging the next Harry Kewell and Tim Cahill from the indigenous community. As revealed by Fairfax Media on Monday, the Socceroos kick-started the supporter drive for the foundation by donating the overwhelming majority of their match appearance fees for Tuesday night’s World Cup qualifier against Jordan, a combined sum of $90,000. The need for funding goes beyond the costs of equipment and hiring coaches but also in tackling the issues of growing the project in remote Australia. JMF coach Timothy Lansen has been with the program for a number of years and is passionate about being involved in his indigenous community but has thus far been denied the opportunity to gain his coaching badges. Lansen dreams of becoming a certified coach and was set to take his FFA coaching course in Darwin in January but half way through the 13 hour journey was told the course would not take place. A lack of participants was cited as the reason for the cancellation and the delay in Lansen further pursuing his own coaching career.